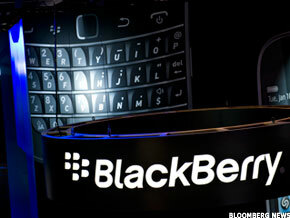 Can RIM Pull Out of Its Tailspin? What's going wrong? Here's a list. NEW YORK (TheStreet) -- Research In Motion (RIMM will report its latest quarter after the close on Thursday. As Horace Dediu pointed out on his Asymco blog, last yea, RIM reported that it sold 13.2 million phones. Yet, in the prior quarter reported in April, RIM only reported selling 11.1 million phones. The market is clearly anxious about what RIM will report and the death-spiral trajectory it's on. Earlier Wednesday, RIM touched $8.83. That's a level RIM hasn't seen since December 2003, or 8.5 years ago. RIM is down 68% in the last year and 84% in the last five years. Since June 20, 2008, RIM is down 93%, or $124. So, what can Thorsten Heins or the RIM board do to turn things around? The steps taken to date have obviously not appeased investors. It looks like net new subscribers have stalled and might even contract in Thursday's earnings. Will this accelerate in future quarters? With the bring-your-own-device trend ramping up, and many enterprises and government seeing iPhone's and Android's security as good enough, this stronghold looks weak. BB10's OS is still respected but it's taken so long to get it to work on a phone. The world has continued to move ahead and iPhone 5 with iOS 6 is set to launch this fall before BB10. Apple's (AAPL - Get Report) Siri is now going to be built into many cars starting next year. It seems like Siri will beat RIM there. So this potential advantage is going away. In February 2011, RIM had $2.1 billion in cash. In March 2012, it had $1.8 billion, which also included some new patents it bought from Nortel (NT. So things are a little more pressured, but RIM is still in a strong cash position to date. The question is, does this dramatically shift this quarter and accelerate from here? The consensus estimate is that RIM will lose 8 cents this quarter. The patents are still there. No one knows how much they're really worth until someone else monetizes them. The messaging infrastructure is still there and it could be very valuable to a company like Facebook (FB - Get Report) that decides it has to get into the phone space. However, with the growth of iMessage, it's not clear this is as big an advantage to others as it might have been six months ago. How important will it be in 2013? So, what does RIM need to do? It has to get BB10 out the door ASAP and hope it is seen as a differentiator. But it's very difficult to imagine that it will be. Therefore, the next step is to sell this company for as much as possible. Probably Amazon ( AMZN - Get Report) and Facebook are still the best options for doing that. If I was Heins, I'd be on the next plane out to visit Mark Zuckerberg and explain what the two companies might be able to do together to best blunt the growth of Apple and Android. At the time of publication, Eric Jackson was long AAPL. Eric Jackson is founder and Managing Member of Ironfire Capital and the general partner and investment manager of Ironfire Capital US Fund LP and Ironfire Capital International Fund, Ltd. In January 2007, Jackson started the world's first Internet-based campaign to increase shareholder value at Yahoo!, leading to a change in CEOs in 2007. He also spoke out in favor of Yahoo! 's accepting Microsoft's buyout offer in 2008. Global Proxy Watch named Jackson as one of its 10 "Stars" who positively influenced international corporate governance and shareowner value in 2007. Prior to founding Ironfire Capital, Jackson was President and CEO of Jackson Leadership Systems, Inc., a leadership, strategy, and governance consulting firm. He completed his Ph.D. in the Management Department at the Columbia University Graduate School of Business in New York, with a specialization in Strategic Management and Corporate Governance, and holds a B.A. from McGill University. He was previously Vice President of Strategy and Business Development at VoiceGenie Technologies, a software firm now owned by Alcatel-Lucent. In 2004, Jackson founded the Young Patrons' Circle at the Royal Ontario Museum in Toronto, which is now the second-largest social and philanthropic group of its kind in North America, raising $500,000 annually for the museum. You can follow Jackson on Twitter at www.twitter.com/ericjackson or @ericjackson. You can contact Eric by emailing him at eric.jackson@thestreet.com.